You might say that Russian realism as the style of painting embodying the national spirit, came into its own with “Barge Haulers on the Volga” (lead image), the famous oddity painted by Ilya Repin over three years, 1870-73, following his graduation from the Imperial Academy of Arts in St. Petersburg. The canvas depicts a team of burlaki towing a vessel through the Volga sandbars, its sail furled under a headwind strong enough to fill the sail of the barge on the far side of the river. On the masthead the Russian flag is flying upside down, blowing from left to right. Up river in the distance, there is a motor vessel, its coal-fired smokestack blowing from right to left. The painting was commissioned, paid for, and hung on his palace wall by Grand Duke Vladimir Alexandrovich Romanov (lead image, front right), son of Tsar Alexander II (ruled 1855-81); brother of Tsar Alexander III (ruled 1881-94), and cousin of the last Romanov tsar, Nicholas II (1894-1917). The duke, the Imperial Academy, and the intelligentsia of St. Petersburg and Moscow considered Repin’s work a portrait of the wretched conditions to which the Russian rural population was subjected, and thus a symbol of the fortitude of Russian people. According to Fyodor Dostovevsky at the time, what he saw in the painting was “barge haulers, real barge haulers, and nothing more… you can’t help but think you are indebted, truly indebted, to the people.” The master was myopic, insincere, patronising. But note the term, real — we are coming back to it. In a new book by a British art historian from Cambridge University, the history of the Academy has been written from its inception in 1757 until 1881, the year the tsar,Vladimir’s father, was assassinated. The author is Rosalind Blakesley. Yale University Press is the publisher. Count Ivan Shuvalov, a lover of the Empress Elizabeth, drafter of the Academy’s foundation charter and its first president, promoted its formation for the reason he gave that “foreigners of mediocre knowledge are receiving substantial sums of money and enriching themselves [painting in Russia] but who then return home without yet leaving a single Russian knowledgeable in any art.” The Academy received its initial budget from the court chancellery for construction, while its syllabus was also supervised by the icon department of the Church’s Holy Synod. French methods, professors and tastes dominated. Women painters received the occasional Academy title or medal in the early years of the 19th century; as students they were allowed to audit Academy classes in the 1840s. It wasn’t until 1873 that the first women students were formally enrolled at the Academy. By then the institution was on its last legs. 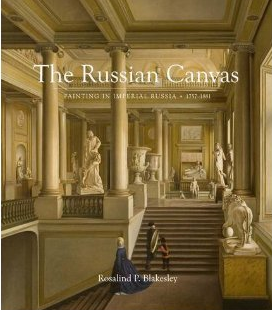 Blakesley documents the start of Russian market demand for painters to promote the faces of the rich and powerful; advertise their assets in display of sumptuous costumes and surroundings; and decorate their interiors for the admiration of the Romanov court and the envy of their rivals. 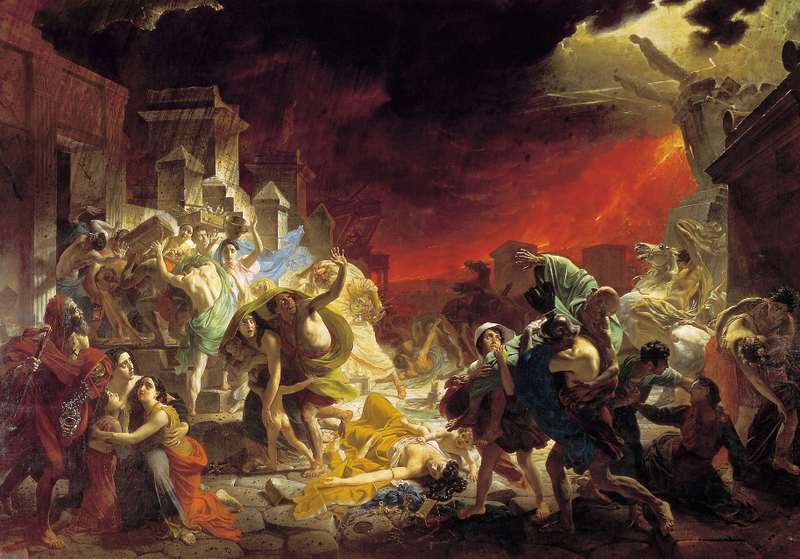 The Egyptians, Minoans, and Greeks had been doing the same for up to three thousand years earlier. But there’s more to the story than Russians turning their backs on their icons in the red corner (Кра́сный у́гол), and playing catch-up with the civilized world. 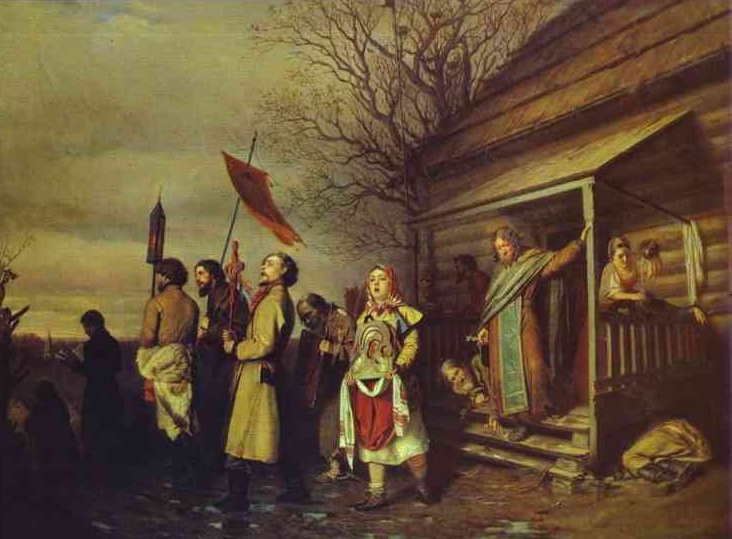 For this is a history of the efforts of Russian painters to cope with a colossal contradiction in the idea of the real Russia – that is, a market which could employ them in a state which would not tolerate deviation or dissent from the official ideology of nationality, autocracy, Orthodoxy. They had to be careful: in 1747, just a decade before the Academy commenced, the Senate in St. Petersburg had issued a decree, requested by the Empress, to regulate her public portraiture, punishing artists with as much physical disfigurement as they inflicted on Elizabeth on canvas or in stone. Along the way, the St. Petersburg and Moscow art markets naturalized taste and upped price, encouraging Russian painters to abandon the west European models which the Academy had been teaching. Still, until the Romanov duke patronised the real barge haulers, Russian painting was an undistinguished, over-priced combination of foreign derivatives and toys for aristos, whose well-executed faces were as vapid as their costumes were costly. Left: Vladimir Borovikovsky’s portrait of Countess Lyubov Kushelova and sons (1803) set a Christie’s record in 2014 at £2.99 million. Right: Borovikovsky’s portrait of Ardalion Pretrovich Novosiltsev (1807) was auctioned by Sotheby’s in 2015, fetching £869,000, well short of expectation. The London Russian art auctions in December 2016 and June 2017 are noteworthy for the absence of Borovikovsky. Vladimir Borovik (aka Borovikovsky) came from a Ukrainian Cossack family. After catching the attention of Empress Catherine II, he worked in St. Petersburg between 1780 and 1825, reportedly turning out four hundred portraits. In the latest auction results from London, which twice a year set the upper-limit pricing for the Russian art market, Borovikovsky’s portraits are fetching prices at which it is profitable to forge more. Whether the price will drop as more than 400 works appear on the market remains to be seen. Portraits carrying the tag that they are “attributed” to or “after” Borovikovsky, or were painted in Borovikovsky’s “circle”, are fetching prices between £2,000 and £10,000, depending on the skill of the copyist. For more, read this. Nowadays, a Russian oligarch and art collector like Peter Aven, partner of Mikhail Fridman and his Alfa banking group, does much the same as Shuvalov and Betskoi intended with their patronage of the Academy’s artists. Aven’s academy is the “At Home with the FT” page where he, his house, garden, and art collection were introduced recently as “the Russian oligarch with an eye for art, not yachts”. That those two assets are as different as the newspaper implies may have been Aven’s idea to demonstrate. That his asset display is no different from the Grand Duke Vladimir’s is obvious. Which man’s walls hold more Russian realism is a question Blakesley’s history helps to answer (the answer = neither man). Left: Aven at home for the Financial Times, July 2017. Right, Aven’s garden sculpture – “Border Guard” by the Russian-American artist, Grisha Bruskin (1990). 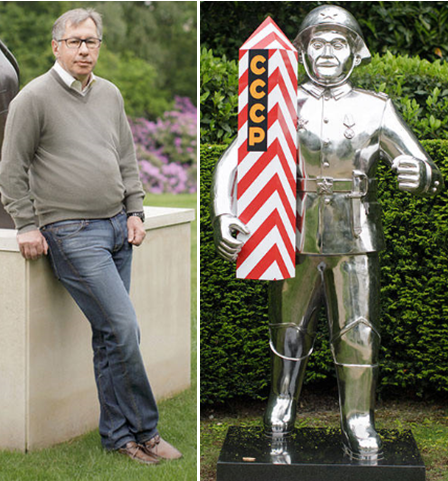 Both are photographed at Aven’s home in Surrey where, he tells friends, he has now retired from Russia. When he started buying Russian art, Aven says, “Russian painting was inspired by Cézanne and Matisse, but Russian porcelain was original…I am lending more and more. Russian art deserves it.” He told the newspaper “he hopes to be able to persuade the Victoria and Albert Museum to put on a show based around his porcelain collection. In the future, he dreams of a private museum to house his works. Yet he believes they would be overshadowed by other state collections if it were in Moscow, and in London he questions whether there would be sufficient interest. Instead, he is considering Riga, for which he retains an affinity because of his Latvian grandfather.” Aven is a patron of the Pushkin House cultural foundation in London, and was one of the five judges who awarded the Pushkin House annual book prize to Blakesley's book this year. Aven has stuck to the artists of the Russian avant-garde period from 1890 to 1930; they might be termed anti-Academic artists, whose story follows after Blakesley’s. Ideologically, they were the antithesis of the Academy painting of their predecessors — a combination of nationalism, democracy, agnosticism or atheism. 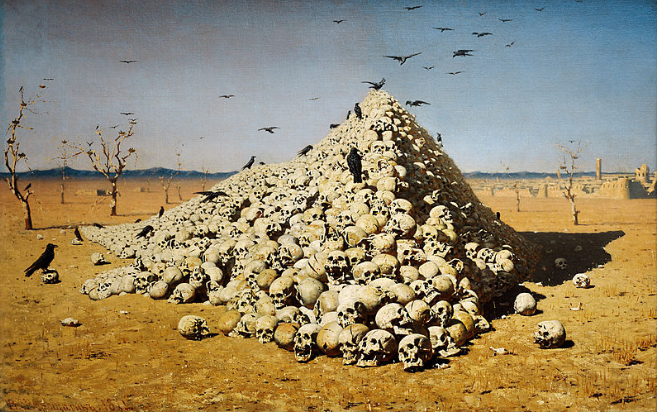 In the current Russian art market, the avant-gardists command the highest asset valuations, compared to what went before from the Academy, or what has come after in the Soviet period, or after 1991. For more on the recent art market, read the story file. Grand Duke Vladimir’s earlier decision to endorse Repin’s Barge Haulers wasn’t exactly an ideological break with nationality, autocracy, Orthodoxy. But it did put a stop to the pyramid of value which the Academy had maintained through its first century, and the court had paid for. This placed paintings of historical scenes ahead of all other genres on the supply side, dictating the highest price per canvas. There followed, in descending order of prestige and price, portraits, battles, landscape and perspective painting. At the bottom came realism, which also included flora, fauna, pots and pans. With works like these, you might say Blakesley’s book ends just when Russian painting gets interesting – a conclusion which the London Russia Week auctions continue to reinforce. But for answer to whom we should be grateful – Dostoevsky’s recommendation — for the Russian painting which has come after the Academy, it’s necessary to understand what and who pull the boat along – what has changed, what remains just the same.